The solid double-walled construction allows printing in all areas. Read our interview on development and fields of application of the new label printers. At Moosmann & Co, MACH2 print labels in every orientation of assembly. 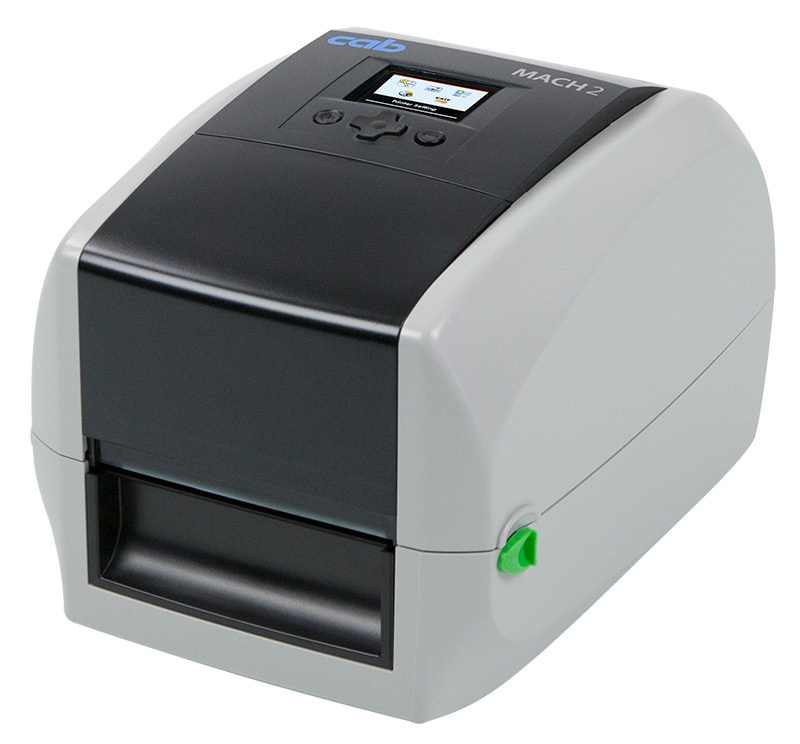 The MACH1/2 can be opened up widely to insert the ribbon and the label roll 1. Adjustment of different materials via a calibration button without loss of time. The multi-language color display 2 and the cab navigator pad 3 of MACH2 are logically structured and intuitively operable for the user. A total of four interfaces (including Ethernet) 4 offer flexibility and fast device connection. Besides a cab Windows driver each device is provided with the cablabel S3 software which allows creating label formats of all kinds. Via the integrated real-time clock the labels can be signed with the current date and time. The MACH1/2 rely on standard ribbons with 1“ core and a length of 300 m. The maximum outer diameter for the label roll to be inserted in centered position is 127 mm. 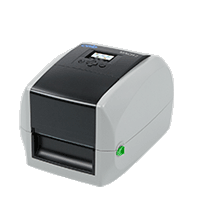 Accessories such as the cutter, the present sensor and the external unwinder allow universal use of the low-maintenance compact printers. Limitations may apply to small labels, thin materials or strong adhesives. These applications need to be tested and approved.